This year our official programme includes the chance to win a 33 year old Miltonduff speyside malt, courtesy of our partners at Adelphi. Every year our generous partners donate a top product for our raffle. 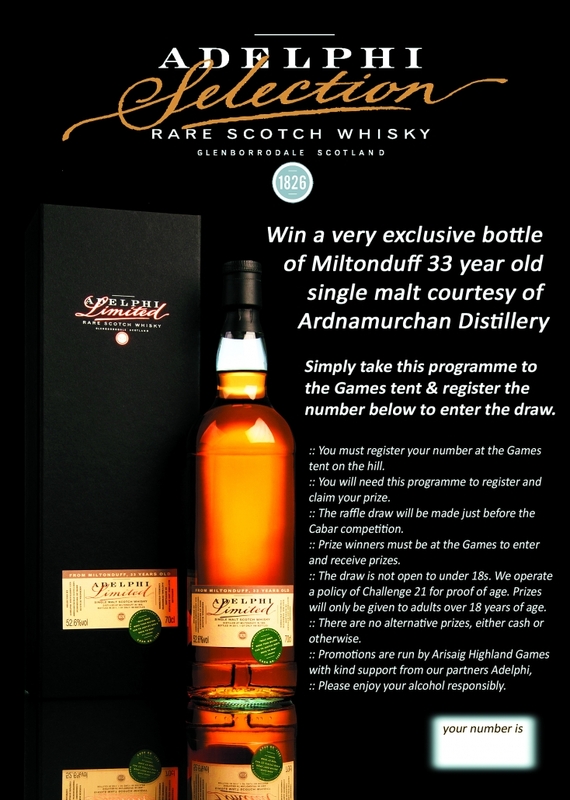 This year Adelphi are offering a bottle of 33 year old Miltonduff single malt. The official Arisaig Games programme doubles up as a raffle ticket. To enter the draw, participants are required to take their copy to the raffle table in the large marquee and register the number on the back cover to qualify for the draw. The 36 page programme costs £1 and along with full details of the 2019 Games, it also contains articles on local history and interest as well as a full list of all the events and prizes. 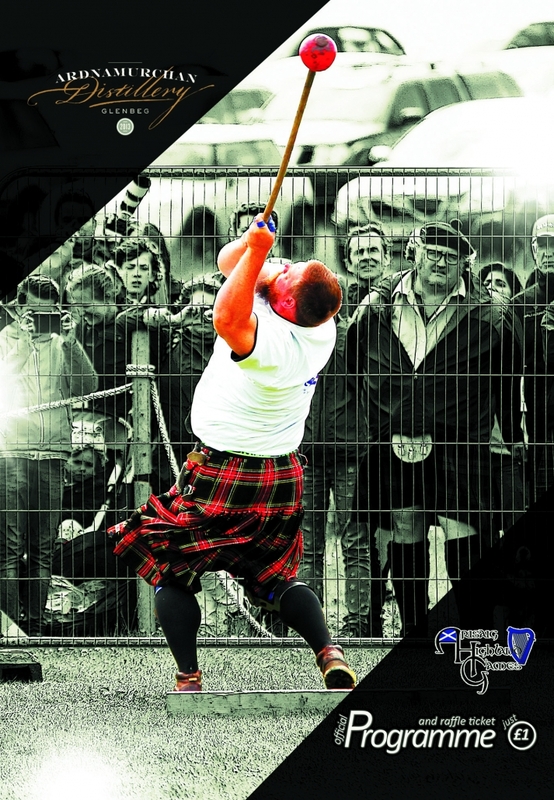 Programmes are available at the entrance gates on the day and also from the Clan tent at the field. Adelphi are an independent bottler of Scotch whisky and have developed its brand internationally by sourcing rare and unique single casks of Scotch whisky from other distilleries. This careful selection procedure has given Adelphi a name for quality above all and it has regularly won awards for its bottlings. The new Ardnamurchan Distillery at Glenbeg opened in 2014 and has now returned Adelphi to single malt whisky production after over one hundred years absence. There is also a 2 page article on the distillery in this years programme. :: You must register your number at the raffle table in the marquee on the hill. :: You will need this programme to register and claim your prize. :: The raffle draw will be made just before the Cabar competition. :: Prize winners must be at the Games to enter and receive prizes.